The legendary Graham Nash presented songs from his forthcoming record This Path Tonight during his two-night engagement (February 6th and 7th, 2016) at The City Winery in Nashville, Tennessee. 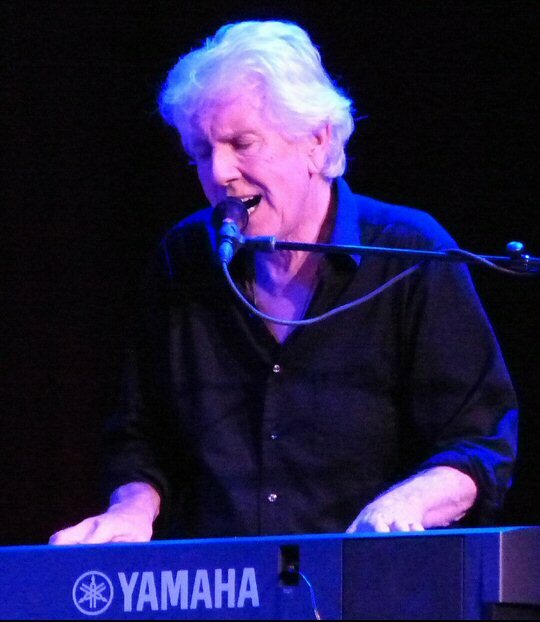 British singer/songwriter Graham Nash is well-known for his distinctive tenor voice. Since the 1960’s he has enjoyed much success in The Hollies along with Crosby, Stills & Nash. Graham – an award winning musician – is also an activist and an acclaimed photographer. He is on tour in 2016 in support of This Path Tonight. The new album due out in April was produced by Shane Fontayne. It features 10 original songs from Nash. 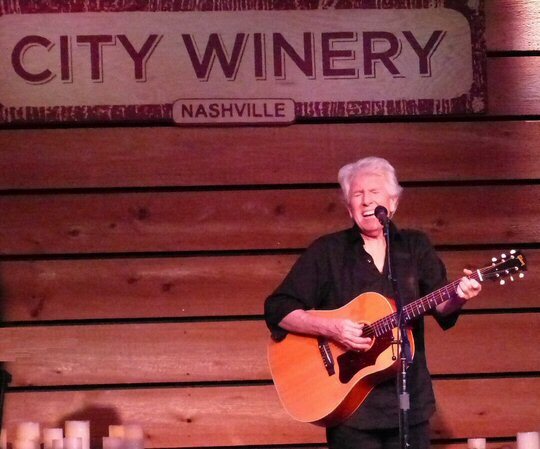 The City Winery was the perfect showcase for a Graham Nash two-night stand. “How you all doing?,” inquired Graham who was warmly greeted by the City Winery crowd. “Let’s start somewhere close to the beginning”. Nash popped open “Bus Stop” from his Hollies days. Shane Fotayne accompanied him on electric and provided a strong second voice throughout the concert to compliment Nash who sang beautifully on Saturday evening. “Anyone who knows the words to that song must be old,” Graham jested. He mentioned a few reasons why he left The Hollies as a lead into “King Midas in Reverse”. The song showed that Nash still has a golden touch. “This is my friend Shane Fontayne,” said Nash who shared that the two have been playing music together for about six years. Shane is a well-respected artist who has performed with Bruce Springsteen, CS&N, Sting and more. Fontayne also is producing and writing music with Graham. “Marrakesh Express” was magical. The journey included a bubbly recollection of having dinner at Johnny Cash’s house and walking into a standup lamp. Throughout the show Nash shared stories about his songs. The next being “Immigration Man”. Nash recalled being hassled by a Canadian customs agent. Returning home furious he penned the tune. Shane added an electric edge to the biting track. Graham Nash thrilled on piano and guitar during the evening’s two sets. “Shane and I wrote this beautiful song,” stated Nash before presenting a number of new tracks. “Golden Day” was glowing with rich lyrics looking back at Graham’s life. 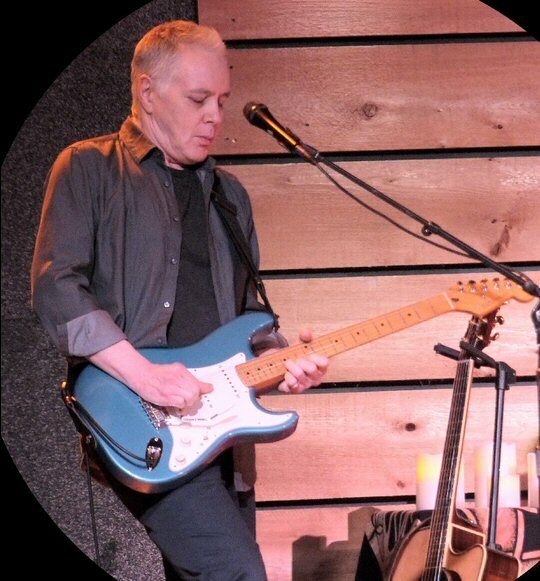 “Myself At Last” was also poetic and well received by the attentive audience at the Nashville City Winery. Graham sang clearly so that one could hear the profound words he was singing which is important when playing new material. “Hi to all my friends at BMI,” said Nash before commenting that so many people die in the name of religion. “In Your Name” included strong commentary about humanity demonstrating that Nash still cares about world events. Shane added rich guitar tones to Graham’s petition “can you stop all of this madness.” The stage darkened, lit only by candles as Nash moved to the keyboards to sing about the killing of the largest mammals. Shane’s slide guitar punctuated the sad points of the song and ended it with whale like sounds. “I am really proud of this new record that Shane produced,” shared Nash. Next the two presented a potent “Ohio” with both singing the hook before taking a short break. The second half of the show built on the melodic momentum of the first with more fan favorites such as the lovely “Lady of the Island”. Afterwards someone shouted out “you sound great, Graham”. The next song was dedicated to the recently departed David Bowie, Glenn Frey and Paul Kantner. It was a composition that had been penned as a celebration of the life of Levon Helm. This new tune co-written by Fontayne was filled with rich imagery of death and nature. 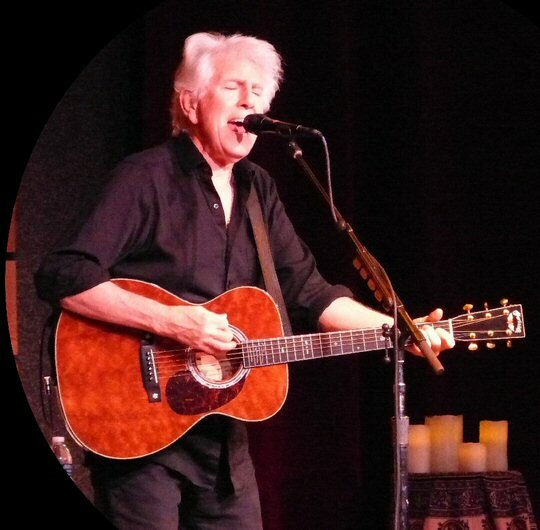 From CSN to The Holllies – Graham Nash is a living musical legend. “Wasted On The Way”, “Cathedral” along with “Chicago” were winners as was “Our House” (released 1970) with Nash remembering his girlfriend at that time Joni Mitchell buying a vase. It was a dreary rainy day in Laurel Canyon so Nash suggested lighting a fire while “you place the flowers in the vase that you brought today”. A simple yet so in the moment song that is still one of the sweetness sentiments of contentment in a relationship ever written. Fans sang along to that classic. The encore featured The Beatles’ “Blackbird” and the insightful “Teach Your Children”. 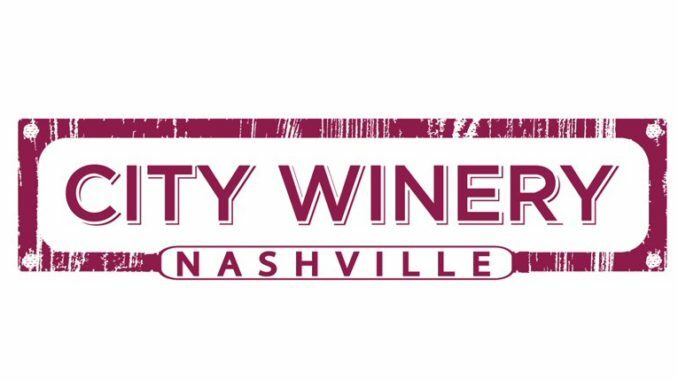 Graham Nash presented a set of vintage classics paired with vital new music at the Nashville City Winery at 609 Lafayette Street. It is an up-scale venue that serves fine food, music and wine. It continues to host an eclectic range of artists such as Graham Nash. Upcoming events include Dr. John, Anders Osborne, Low, Wasabassco Burlesque and a number of Valentine’s Day options. The great Shane Fontayne provided powerful support on guitar and vocals.